It’s only natural to care for our loved ones. Whether you’re seeking out drug addiction help for a friend or a family member, there’s nothing wrong with wanting the best possible treatment for them. Now, despite your willingness to get someone the help that they need, it’s also important to keep in mind that you can’t force change on someone. 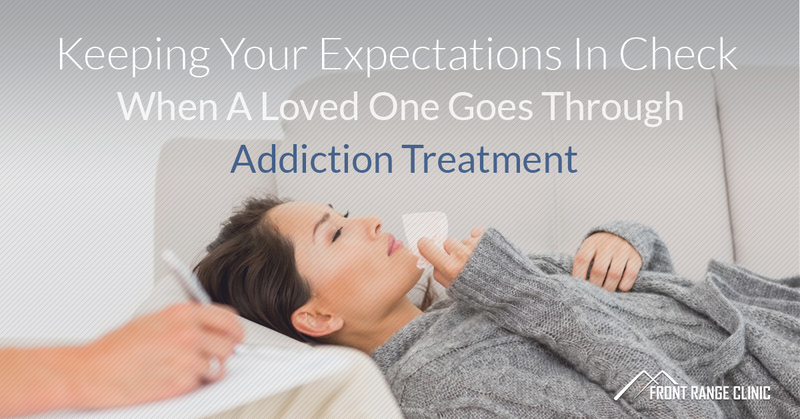 While drug addiction treatment involves a number of key people and resources, the battle with addiction is ultimately personal, and so it is important that you respect a person’s experience and perspective. How do you help someone if you’re influential, but not in total control of the situation? The Fort Collins drug addiction help specialists at Front Range Clinic can help. Navigating drug addiction therapy is no easy battle for anyone involved, but knowing what you can and can’t do will help you and your loved ones get to a better place. Today, Front Range Clinic is going to briefly cover a few things that you might have difficulty controlling when it comes to helping someone. If you have any questions, feel free to reach out to us today. As strong as your desire may be for the loved one in your life to quit a drug addiction and move onto a healthier place in life, the decision to end an addiction is ultimately their decision, not yours. Again, as tough as it may be, you can’t directly control them or the situation. The sooner you accept your lack of control in the situation, the sooner they can face the natural consequences of their actions, realizing that they need help. If your loved one goes to see our drug addiction recovery practice, that’s great, but you can’t do the work of recovery for them. Providing encouragement along their path to recovery is a welcome idea, but keep in mind that this is their own battle to fight. Drug addiction hurts people in multiple ways, and often, a part of addiction recovery is getting hurt. Though it may pain you to see a loved one struggle through a difficult time, know that this is a natural part of the experience. With time and help from professionals like us, your loved one can and will get better. Recovery from drug addiction is a serious matter, but our drug addiction rehab services in Fort Collins can help. Learn more by contacting us today.